Key Difference: A teacher refers to a person who imparts knowledge to the students whereas a professor is a teacher of higher learning. 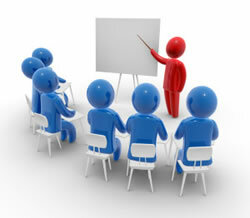 A teacher refers to a person who imparts knowledge to the students whereas a professor is a teacher of higher learning. Professor is a leading expert in a teaching institution and belongs to highest academic rank in an institution of higher education whereas teacher also known as Instructor is defined by one who teaches or instructs irrespective of the level of institution. It can be of school or of a college level. Professorship requires Doctorate while a teacher may or may not possess a doctoral degree. To become a Professor one has to qualify for lectureship and then follow the set steps to become a Professor. The first step in an academic teaching career starts from a lecturer, and then followed by senior lecturer, then reader, then eventually professor. In simpler words a Professor is also teacher as he imparts his vast knowledge among the students. However, in countries like Canada and the United States anyone teaching at college level is described as “Professor”; this definition does not include rank consideration. In most of the higher education institutions, Professor is also designated as the head of the department but simply being a teacher does not lead to headship of department. Still the exact meaning of professor can differ from one country to the other. Professors are similar to teachers as both are qualified professionals and are responsible for managing the teaching, but in addition to this a Professor is engaged in research works, publications in their departments and many other academic related activities. Professor" is more formal than "teacher. 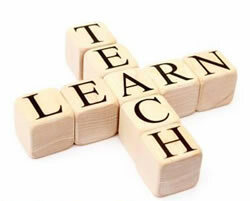 Teacher is sometimes used to refer a school teacher; can be of primary school or secondary or sometimes both; a teacher provides education in school or at some other place of formal education. A teacher is also required to obtain specific qualifications. The qualification may include the science of teaching. Teachers can also be on probation but on the other hand Professors receive tenure and thus are legitimate and full time faculty members. Teachers and Professors both are very important for guiding young minds and turning them into a good human beings.